Tired by travelling in bus, auto rickshaw, public transport in traffic? Just try Zoomwheel a hassle less ride to reach your destination. Zoomwheel 6 months @1000/- only. Lets subscribe Zoomwheel and save our environment. Pollution less rides from Zoomcar. Special offer for HSBC customers!! Get 20% off on Zoomcar selfdrive cars by using HSBC cards for the transaction. Maximum discount Rs.1500. Special offer for Rupay Bank users!! Flat Rs.1000 off on self drive cards. Make transaction with Rupay cards to get discount. Maximum discount Rs.1000. Valid for all users. Offer not valid on black days. Zoom car makes your traveling easy and filled with more fun with the huge savings and discounts every day!! Book your cars with the Master cards and enjoy 20% off on bookings. Offer applicable for all users. Valid on all Mastercard debit and credit cards. Use the coupon code to grab the offer. Plan your trip today!! Book selfdrive cars from Zoomcar and get flat 20% off on booking over 18hrs. Use Zoomcar coupon code on the checkout page to get discount. Hurry Up!! Get flat 20% discount on self drive car service. Minimum billing will be for 4 hours. Maximum discount is Rs. 1000 per ride. Coupon code is applicable once per user. Payment must be made via Axis Bank debit and credit cards to avail this offer. Applicable on all cars on the website and mobile App. Special offer for HDFC net Banking users. Book self drive cars from Zoomcar and get 20% off by using HDFC Net Banking for the transaction. Flat 22% off for Mumbai customers. Offer valid on booking made from Monday to Friday only. Maximum discount Rs.1000. Use Zoomcar coupon on the checkout page to get discount. Special offer for IndusInd customers!! Save 20% on self drive car rentals at Zoomcar. Valid from monday to thursday booking. IndusInd Bank Customers Only. A Minimum Billing is for 4 hours and all bookings between 1 to 3 hours will be billed at 4 hours. Use coupon code on the checkout page to get discount. Book now. Myles offering discounts on self drive cars. On minimum booking value of Rs.5000 above save Rs.750 by using this coupon code. Hurry Up!! Get Rs.550 off on first ride. Valid on minimum booking value of Rs.2500. Hurry up!! Special offer for new users!! Save Rs.550 on spends over Rs.2500. Valid on first drive. Hurry Up!! Get 15% discount by using ICICI Bank cards for the transaction. Valid on minimum booking value of Rs.2500. Maximum discount Rs.500. Hurry Up!! Exciting offers on a range of cars at Zoomcar. Flat up to 60% off on self drive cars. Limited period offer. Hurry Up!! Get up to Rs.300 on one PhonePe transaction on Zoomcar during the offer period. Valid on minimum booking value of Rs.3000. Offer valid only for Phonepe users only. Book a Ola cab or auto and get 10% cashback by using this coupon code. Valid on making transaction through UPI ID On ICICI Pockets Wallet. Chalo niklo. Book Uber rides and get 20% cashback by using Standard Chartered Bank credit card for the payment of Uber cab rides. Maximum cashback Rs.600 a month. Hurry Up!! Book Meru Cabs and get Mobikwik cashback. Get Rs.300 cashback. Valid only for New Mobikwik user. Valid on minimum booking value of Rs.500. Limited period offer. Use Paytm Wallet while paying for merucab bookings and get upto 20% Paytm cash. Valid on minimum booking value of Rs.200. Maximum cashback is Rs.100. Valid only for mobile app customers. offer is valid only for users of Meru Cabs, Meru Genie, Meru Eve and Meru Flexi. 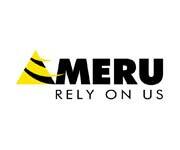 Offer is valid in cities where Meru operates. The mobile number needs to be verified to be eligible for cash back.No coupon code required to avail this offer.Limited period offer.Hurry up! Now on every ride in Getmecab Get Rs.500 cashback. Offer valid only on online payment. Offer applicable on GetMeCab website and mobile app. Cashback will be credited in GetMeCab Wallet and valid for 45 days. Apply the given coupon code to avail the offer. Hurry Up! Special offer!! Book Uber cab service and get 10% Cashback on next 10 rides. Just add Rs.500 to your Paytm wallet and get 10% cashback. Limited period offer. Hiremecar offering discounts on car rentals. Get Rs.200 off on minimum booking value of Rs.4000. Limited period offer. Exclusive Mumbai Offer: Book a cab online on Hiremecar.com or App and get flat Rs.100 Off. No minimum booking value. Offer valid for all users. Use the code to avail the offer. Hurry Up! Exclusive Delhi Offer: Book a cab online on Hiremecar.com or App and get flat Rs.150 Off. No minimum booking value. Offer valid for all users. Use the code to avail the offer. Hurry Up! Book an outstation cab online using Hiremecar.com and get flat 250 off. No minimum booking required. Offer valid only on outstation cab bookings. Apply the code at checkout page to avail the offer. Hurry Up! Get a auto with one click on Jugnoo mobile app. Sign up at Jugnoo and get 100% cashback on first ride. Apply coupon code before confirming auto. Use Paytm wallet, Bank Cards, Cash for the payment of your trip. Cashback will be credited in Jugnoo wallet. Valid in all major cities. Limited period offer. Hurry Up! Now Get 20% SuperCash on Meru Cab when you pay via MobiKwik. Maximum SuperCash Rs. 100. Offer valid for all users Offer applicable five times per month. Offer valid only on Meru app. Brands: All (Meru Cabs, Meru Flexi, Meru Eve, Meru Genie, Radio Taxi, Sedan, Hatchback & SUV). No cashback code is needed to avail the SuperCash. Hurry Up! Pay Now. Discounts on airport transfers at Hiremecar. Get Rs.100 discount on cab booking by using this coupon code on the checkout page. Use your credit card, debit card and net banking for the transaction. Limited period offer.Hurry Up! Exclusive Offer: Avail 100% cashback, maximum upto Rs 2000 on one way & round trip bookings. Offer valid on website & app. Offer applicable once per user. cashback amount can be used for next trip, with discount of Rs 500 per booking, valid for next one year from the date of booking. Use MyTaxiIndia coupon code on the checkout page to get the discount. Limited period offer. Now book a local cab using Hiremecar.com and get Rs.100 off. No minimum booking value required. Use the coupon code at checkout page to avail the offer. Hurry Up! Book Now. Sign up at Jugnoo and book an auto. Get Rs.50 in your account by using this coupon code while signup. Use Paytm wallet, Bank Cards, Cash for the payment of your trip. Valid in all major cities. Get a auto to your doorstep within minutes. Book now. Book a meru cab ride using Google maps and get flat 50% off on base fare. Maximum discount Rs.50. Offer is valid on minimum Booking fare of Rs.100. Offer is valid for multiple rides per user. Offer valid only on Meru Radio Taxi, Meru Sedan, Meru Hatchback & Meru SUV. Offer applicable in Mumbai, Delhi, Bengaluru & Hyderabad cities only. Offer is not valid on Meru Radio Taxi for Delhi NCR region. No promo code required. Book Now. Book a cab from Mytaxiindia pay using mobikwik wallet and get flat 5% discount. Maximum cashback of Rs.200. Offer valid once per user. Offer is valid only web bookings. Cashback will be credited in mobikwik wallaet within 24 hours. No coupon code required.Hurry up! Book now. Now get flat Rs. 200 SuperCash on Savaari.com when you pay via MobiKwik. Offer valid on a minimum transaction of Rs. 3000. SuperCash is valid for 1 transaction per user during the offer period. Offer is valid from 9th March, 2017 till 31st March, 2017. SuperCash will be auto-credited to your MobiKwik wallet within 24 hours. No coupon required. Hurry Up! Now go cashless and get Rs. 50 cashback on your first 4 cashless rides ever on Ola and a BookMyShow voucher worth Rs.150. Coupon code applicable only on first 4 cashless rides in customer’s lifetime. Coupon applicable only if no cashless rides were taken before 15th Feb 2017. Cashback will be processed only on the bill amount paid via Ola Money/Credit card/Debit card. Apply the code to avail the offer. Book Now. 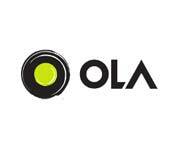 Now kolkata uers get flat 10% off on booking ola outstation rides. Offer valid once for user. Offer valid on one way and regular outstation trips. User can pay by cash, or Ola Money. Offer valid till 31st March, 2017. Apply the code to avail the offer. Book Now. Now avail two vouchers of 50% cashback (up to Rs 50) on taking 4 Ola Micro/Mini/Prime rides until 26th February. Vouchers applicable on Micro, Mini and Prime rides. Valid only for users receiving communication from Ola.No code needed to apply any code. Now a book a Auto rickshaw with Jugnoo and pay with freecharge and grab flat Rs.10 Cashback. No minimum booking and coupon code required to avail the offer. Hurry up! Now ola users apply the coupon code PAYFLAT And get 50% cashback up to Rs.75 on next 15 Micro/Mini/Prime rides in Chennai only. Valid only for users receiving communication from Ola. Use ola coupon code. Book now. Now book an outstation ride using olacabs and get flat 20% off Upto Rs.400. Offer is Valid on one way and regular outstation trips. Offer applicable once per user. User can pay by cash or Ola Money. No minimum required. Use the coupon code to avail the offer. Hurry Up! Book Now. Now get Up to 100% MobiKwik cashback (there will be an assured cashback for every user from 1% to 100% cashback) on savaari outstation trip. Max cashback is Rs.500. Offer can be availed once per user / per month. Cashback will be auto-credited to your MobiKwik wallet within 24 hours. No coupon required. Hurry Up! Now Olacabs is offering discount of 25% (up to Rs. 350) on Ola Rentals. Choose desired package (4 hours or 8 hours). Choose between a Mini, Prime Sedan, Prime SUV or Lux. Offer applicable on the first Rentals ride only. No minimum booking required. Apply the given coupon code to avail the offer. Hurry up! Book Now.